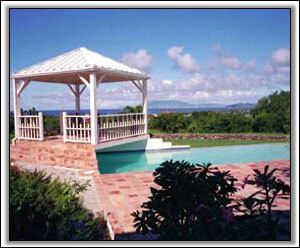 Bathridge is a spacious modern house built on the site of Bath Estate, one of the earliest sugar estates on Nevis. 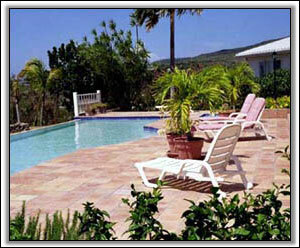 The house, cooled by east-west trade winds, provides sweeping vistas of St. Kitts, Statia and Saba to the west and Nevis Peak to the north. Located on a five acre estate, Bathridge has three large bedrooms, including a master suite, plus living room, separate dining room, library with wet bar, and separate gazebo and outside covered loggia. 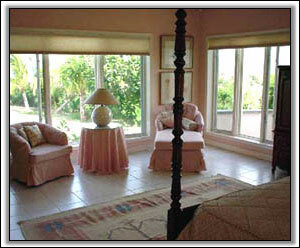 We're high enough to have wonderful views, but only a short distance from the beach. 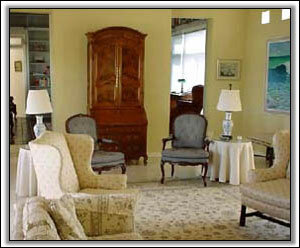 Whether you're interested in just relaxing, or want a more active vacation with water sports, tennis, golf, hiking, nature walks, or historical sightseeing, Bathridge is the ideal rental villa. 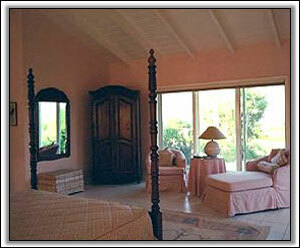 Spread out in the large master bedroom suite or the two large guest rooms, each fully equipped and with its own patio. 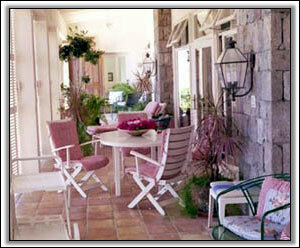 Enjoy outside dining and relaxing in the shade on the roomy loggia. The library with wet bar is just a few steps off the patio. 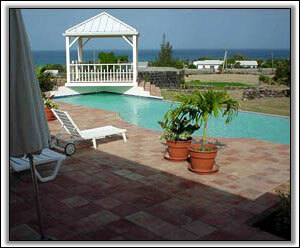 Take advantage of books, games plus reference material on Nevis. When you're inside, enjoy TV, stereo and DVD. Relax in the spacious living room with sea and islands views. Custom lap pool and separate Jacuzzi. Facilities for chip and putt golf. 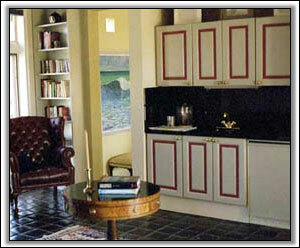 Separate kitchen, breakfast nook and dining room.